As always, change is painful. Gone is the long nearly straight path through the south garden along with the narrow garden bed under the eaves. 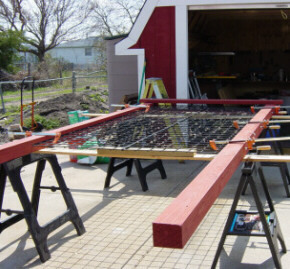 The area was cleared, framed, with a huge new trellis. All of the underground drip system and 12 volt lighting were put in. Four additional trellises were built and installed where our tomato hedge used to be. Three kinds of seedless grapes and a hardy Kiwi vine have been planted. The 8-valve manifold is in and hooked up. One zone is a mist system for people. 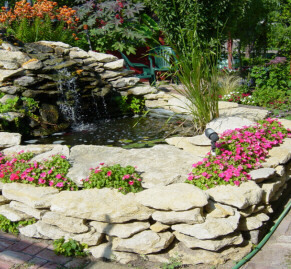 The pond edges no longer have valves and are planted with annuals. We have two solar powered water features. The rain barrel is in and full.